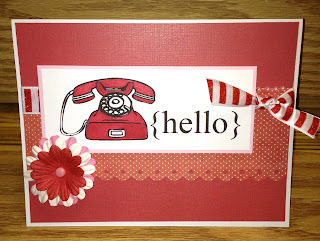 Stamping In Living Color: A Fresh Start! Well, needless to say, I've been away from my blogging post for a few years. I am sure most of you know how *life* can get in the way of your best intentions. LOL So I am happy to report that I'm BACK to actively pursuing my two favorite hobbies: making custom cards and scrapbook layouts. My dear friend, Kim, and I both share a passion for card making & scrapbooking so we have, leaped (yet again), into the tremendous thrill and excitement of discussing sketches, challenges, techniques, and buying new paper, tools, digi stamps, and embellishments. We've also made new cards to celebrate our RETURN! 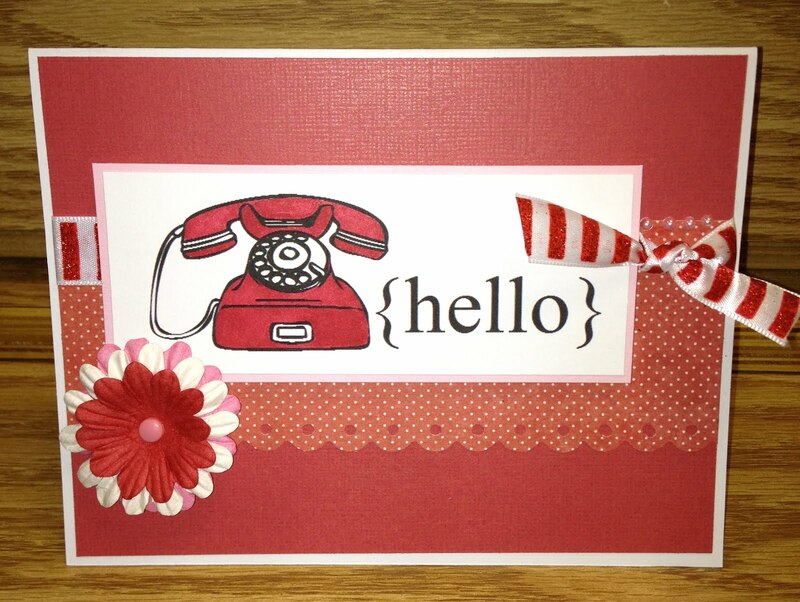 Here, is my most recent card, inspired by the "Mojo Monday" Sketch Challenge. I get a kick out of seeing how my creative juices flow whenever I work on a new card.